Posted by Ada Wang on 11/21/2018 2:33:23 PM. Android eReader app is playing an important role among various android apps. We have posted "How to Read DRM EPUB books on Android Tablet / Phone" before, and with more and more people reading eBooks on tablets and phones, nowadays, people desperately find it indispensible to install additional android eReader apps on their android devices such as Kindle, Nook or any others. That results from different eBook formats and the DRM restrictions. Anyway, having a good android eReader app on your android tablet or eReader is inevitable. 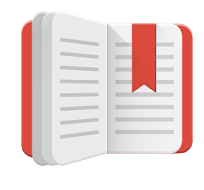 This article covers best android eReader apps, most of which support DRMed EPUB/PDF. Official apps like Kindle for Android, Nook for Android etc are not introduced here as they are provided for certain purposes and you can download them from the official websites as you like. Now let's have a look at the best android eReader apps review. 1. EBooks from public libraries are supported. 2. Fully-customizable reading display and friendly interface. 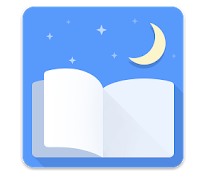 Night mode, bookmarks and other functions are included. 3. Advanced library management system. 4. In-app shopping experience. Many free books are provided. 5. 18 languages are supported. Aldiko Book Reader can be installed on android 2.1 or up. 1. Ebook Reader: Customize the display patterns of EPUB/PDF. Text to speech are available. 3. Notes Manager: Organize, display, tag, filter, sort, search notes and create "Review Sheets" from a selection of notes. 4. OPDS(Open Publication Distribution System) catalogs explorer: Search, add filter and full-text book search. Provide access to your bookstore. It is fully-compatible with bookstores which use Adobe Content Server. You are allowed to create and deploy it to your taste. 1. Access to lots of eBooks from the most recent bestsellers to free classics and you can download them as you like. 2. Full customization of reading display such as text size, margin and backgrounds. Book availability may depend on your location. It supports ADE DRM but it doesn't seem to work so well as the DRMed books need to be uploaded from txtr. And a txtr account is said to be required. There are still two android eReader apps that support ADOBE DRM but not so popular. Both of them are free and not connected to eBook stores. Maybe you can have a try. 1. Customized display styles and view modes. 2. Bookmarks and export of bookmarks to text file. 3. 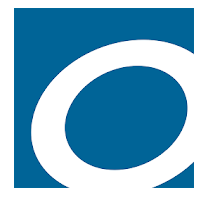 Support online catalogs (OPDS) . 4. Support Text to Speech (TTS) . 5. HDictionary support (ColorDict, GoldenDict, Fora Dictionary, Aard Dictionary). 6. Read books from ZIP archives. 7. Styles can be customized in wide range using external CSS. 9. Support Chinese, Japanese, Korean languages. 10. Autodetection of TXT file encoding (GBK, Shift_JIS, BIG5, EUC_KR). Additional fonts,textures etc. can be placed to offer more options. 1. External TrueType / OpenType fonts are allowed. 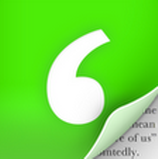 Includes hyphenation patterns for 16 languages. 2. Enable a browser / download for network e-book catalogs/stores. 5 popular libraries(English, French, Russian, Chinese and Polish) are included. 3. Custom OPDS catalogs are supported . 4. External dictionaries (ColorDict, all Slovoed dictionaries (by Paragon Software), Fora Dictionary, FreeDictionary.org, LEO dictionary) are supported..
5. It is open-source (GPL) and localized for 14 languages. 1. 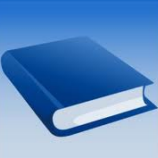 Online eBook libraries are supported. 2. Full visual options, changeable reading modes including Day & Night mode and various paging types( touch screen, volume keys or even camera, search or back keys) are provided. 3. 15 customized (search, bookmark, themes, navigation, font size and others) are allowed. 4. “Keep your eyes health” options for long-time reading. 5. Real page turning effect with customized speed/color/transparent, 5 page flip animations. 7. 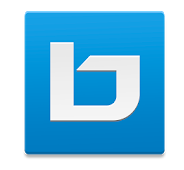 Backup / Restore options to cloud via DropBox, sync reading positions between phones and tablets. 8. Highlight, Annotation, Dictionary (Offline or Online, support Google, ColorDict, Fora, etc. ), Translation, Share functions all in this eBook reader. 9. Localized in 38 languages. 1. The "Get Books" feature offers a library near you and you can download eBooks and audio books from your library directly to your Android device. 2. 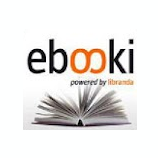 "Additional eBooks" feature offers free eBooks. 3. DRM-free EPUB eBooks from other sites can be downloaded and read. 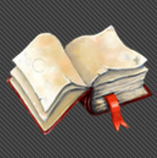 Other android eReader apps are not introduced here for following reasons. 1. Connected to fixed stores. 2. No support of DRM & You have to pay for it. 3. No support of Engligsh. I am so glad that you have got a good reading app.Most android eReader apps listed in this article support drm but wordplayer doesn't.Furthermore,it does not support various eBook formats without Calibre, which can be achieved easily by Cool Reader or others. Anyway, thanks for sharing your experience here. I love your site, thank you!! I just bought a Nexus 7 for my wife. I want to set it up for ebooks from our local library. It would be helpful if your site offered a flow chart of the steps required to reach a certain goal; I.E. "Set up a Nexus 7 to read free ebooks (Overdrive)from public libraries". What are the sequential steps? We are pretty happy for your kind words. And for the OverDrive, we will compile a detailed guide about about how to use it in the future. It would be great if you could include PocketBook reader https://play.google.com/store/apps/details?id=com.obreey.reader into your future reviews. Many thanks for your comments. 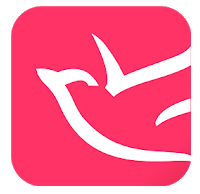 I will add this app when I update this post next time. I am interested in this diet. My mom and others I know have done this diet with great sucsess. 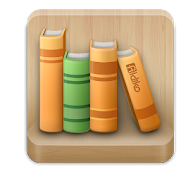 The reader supports audio, video, scripts and all EPUB3 features. The reader comes with a free book, which contains youtube video. You can download a lot of free books from the reader. I'll recommend Reasily and Lithium for DRM-free EPUB books. They both support many EPUB3 features and very fast. Able to highlight and take note. Reasily can even sync notes to Google Drive. Also it can open multiple books at the same time as if the books are different apps.